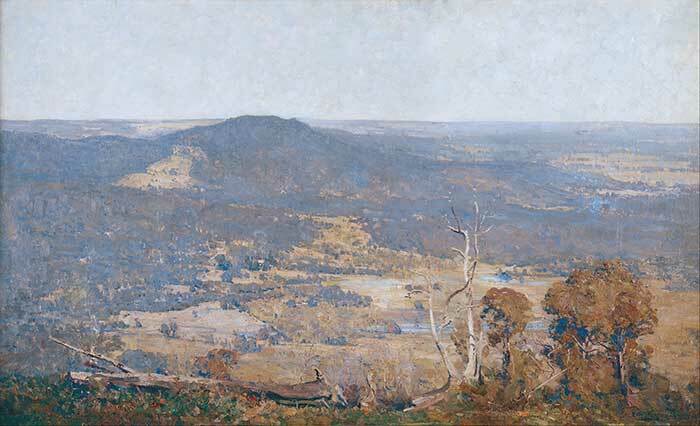 Sir Arthur Streeton (8 April 1867 – 1 September 1943) was one of the leading Australian landscape impressionist painters and a member of the Heidelberg School. 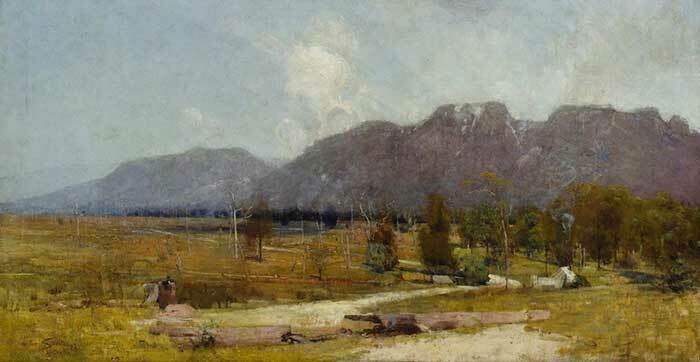 He is one of my favorite landscape painters, mostly due to his ability to so accurately portray the Australian landscape. 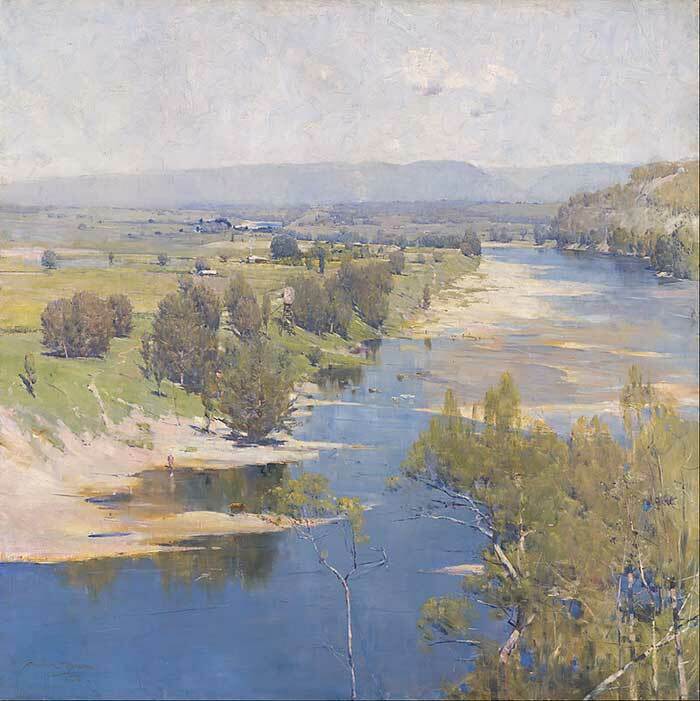 Many of his paintings are in a very high key to indicate the bright Australian sun and have a very harmonious and peaceful feel to them. 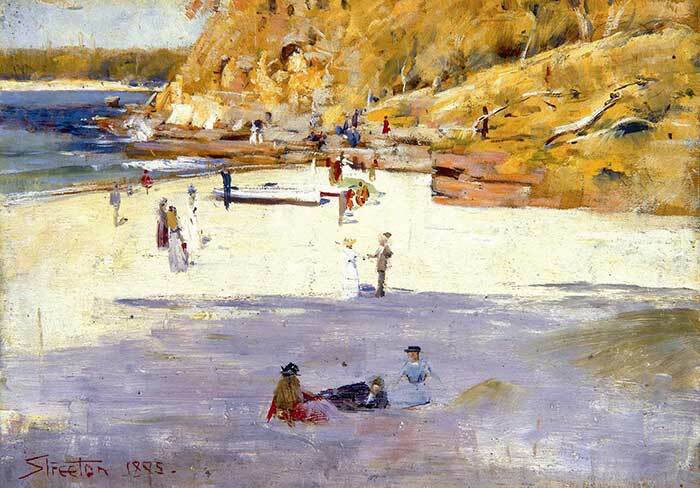 You can almost feel the warm summer breeze as you look into his paintings. 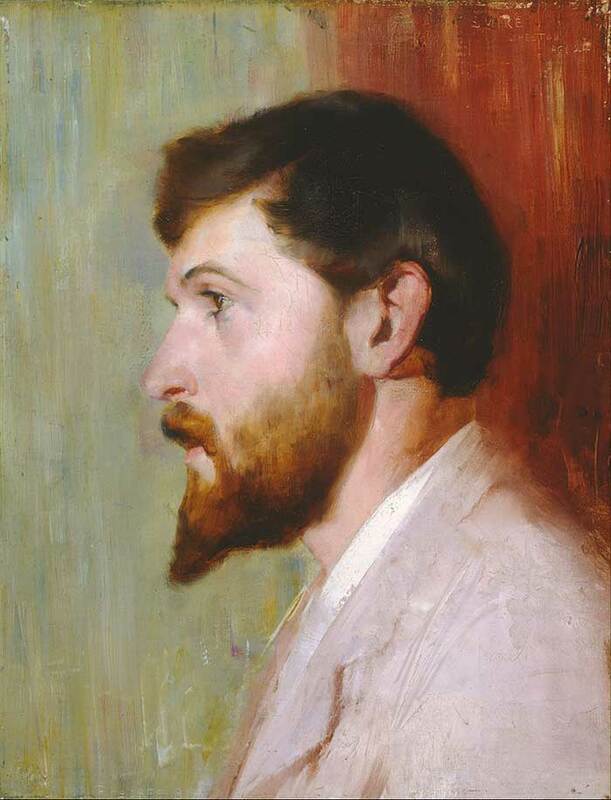 Here is a portrait by Tom Roberts of Arthur Streeton. They were close friends, colleagues and leading members of the Heidelberg School. 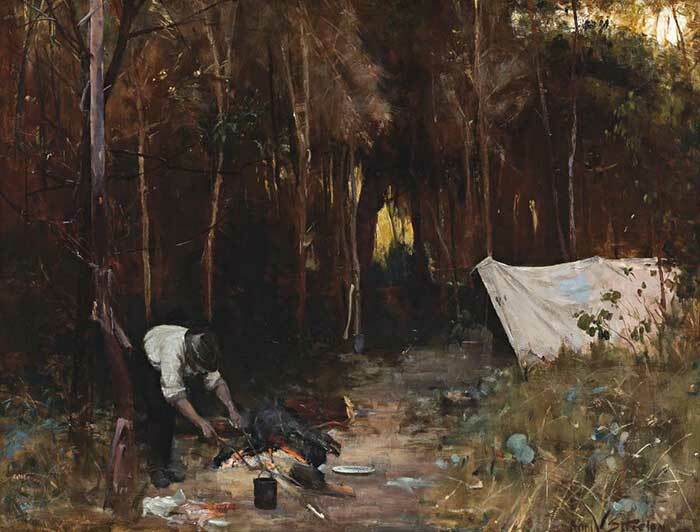 The painting signified their close friendship and Roberts kept it until his death. 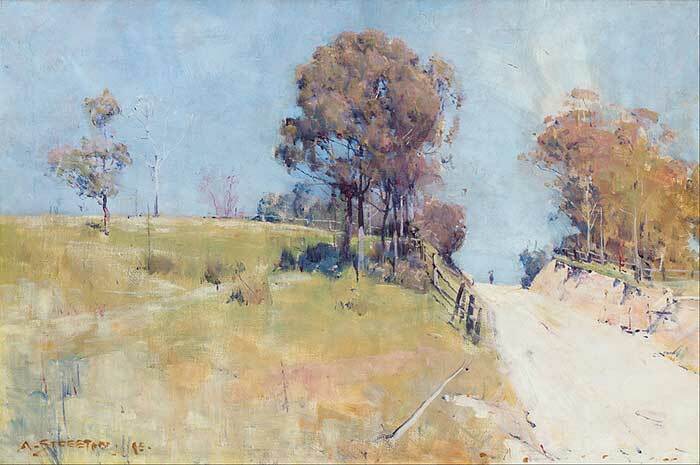 Streeton demonstrated masterful brushwork. 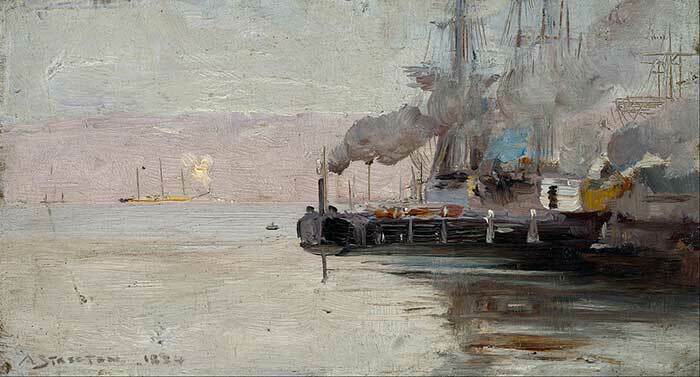 He contrasted loose and bold strokes against areas of much finer detail. For example, take a look at the painting below. Notice how the grass area is really just a light stain of different green and yellow tones. This is contrasted against the flowers which are illustrated in the foreground with much finer detail. 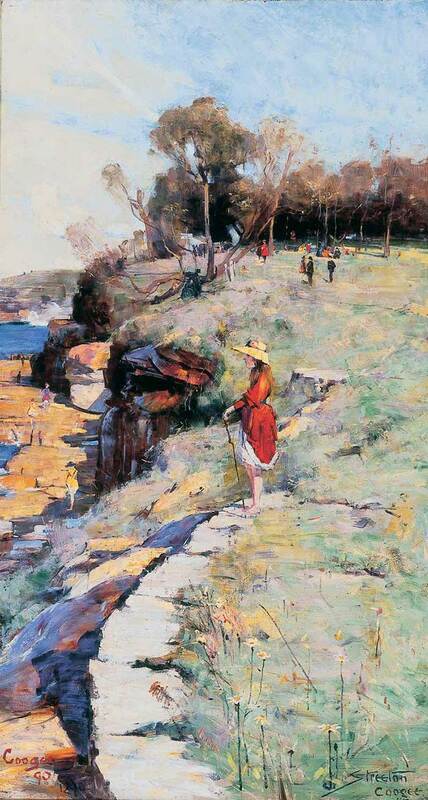 This adds a depth and also draws you into the painting. 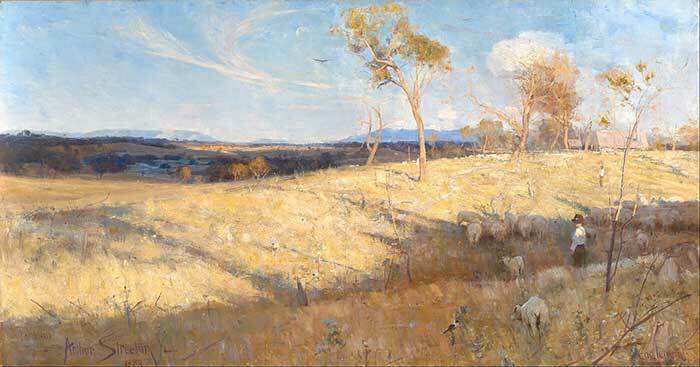 Streeton had a unique ability to create paintings which appear effortless, yet have a beautiful realism. One of the reasons for this is that the fundamentals of his paintings are so sound. That is, the values are incredibly accurate and there is obvious thought behind the color harmonies and composition. This is why it is so important to learn the fundamentals of painting such as color, value and composition. If you can paint with sound fundamentals, then you can be much more relaxed with the finer details in your painting and the painting will still appear realistic. How he used blue in his shadows. The looseness of his brushwork. The value structure of his paintings and the accuracy of his values. 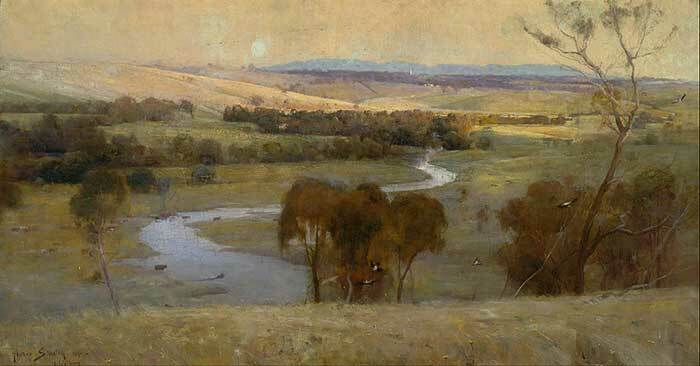 I hope you enjoyed these paintings by Arthur Streeton. 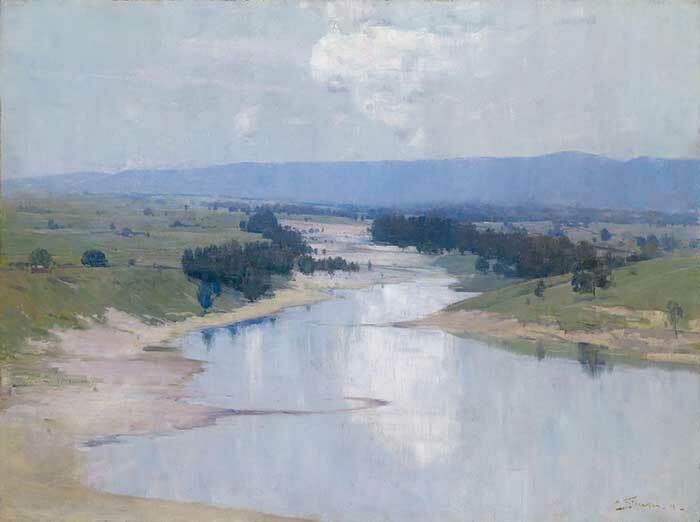 I have a special appreciation for him, not only because he is a fellow Australian, but also for his ability to paint with such effortless beauty. 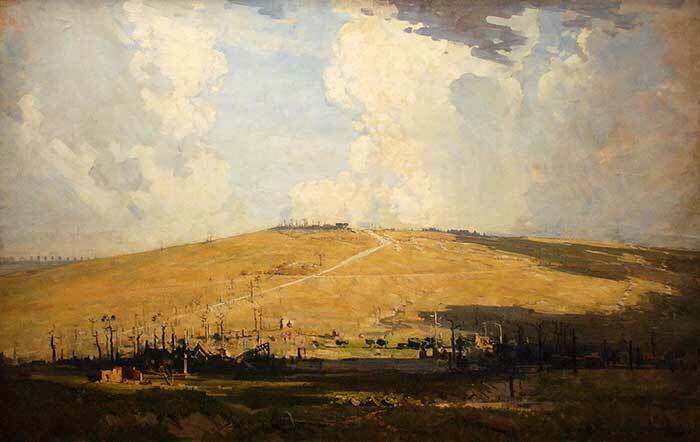 He really demonstrates what top-level landscape paintings can look like. Dan, could you please describe further the term loose brush work? 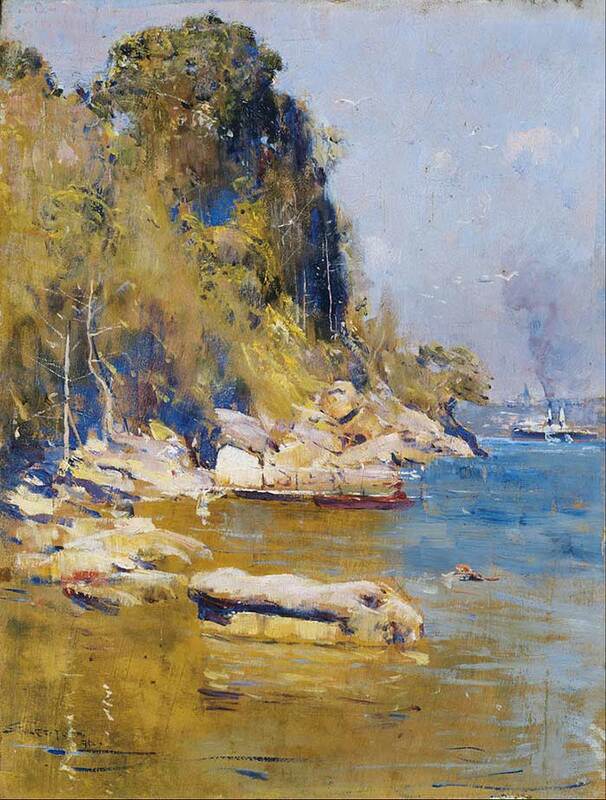 Loose brushwork refers to applying paint in a loose and reflexed manner. The opposite would be very tight and refined brushwork. Up close, loose brushwork often appears very messy and unfinished. But as you step back, it all comes together. Tight brushwork on the other hand looks realistic even up close. Thank you. You explained it perfectly. Your answer to the question about loose brush work, was helpful.